Hayden Hollowell’s debut in the 3000m steeplechase at the 2013 CALTAF Classic Track Meet in Calgary on June 14 netted him a silver medal. The 19 year old runner recorded a time of 10:18 and set a new Wolves AC club record. Hollowell also contested the 1500 and 3000 along with team-mate Eric Martinek. In windy conditions, Hollwell recorded times of 4:19 and 9:31, while Martinek posted marks of 4:35 and 9:41. Jamie Wigmore also made the trip to Cowtown. She set a new personal best time of 2:23.91 in the 800m. Wigmore also ran in the 1500m (5:02). 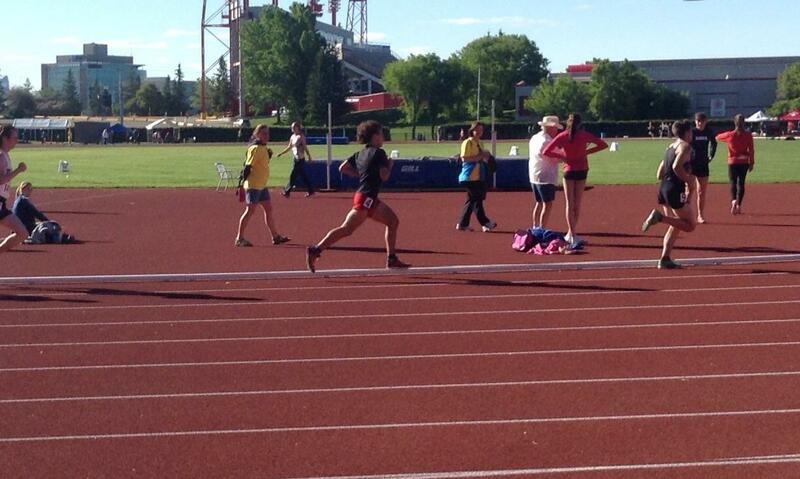 This entry was posted in Outdoor Track and Field, Uncategorized and tagged Athletics Alberta, Calgary, CALTAF Classic, Grande Prairie, Hayden Hollowell, Jamie Wigmore, Track & Field, Track Meet, Wigmore, Wolves Athletics Club. Bookmark the permalink.